Dreaming of white-sand beaches, sunshine and turquoise waters? Then head to The Land of Smiles. Thailand has over 3,000 kilometres of coastline and hundreds of tropical islands ideal for a sun-soaked beach break. From diving meccas to luxury resorts and Full Moon Parties, each island has its own unique character, so how do you choose which ones to visit? Plan your perfect Thai holiday with our guide to island hopping in Thailand. The Gulf Coast lies on the east of the Thai peninsula, sheltered by Cambodia and the tip of Vietnam. Koh Chang is a great option for a quick beach break from Bangkok as it’s just six hours by bus and boat from the capital. However, the Gulf’s star attractions are the southern trio: Koh Samui, Koh Tao and Koh Phangan, which form a great island-hopping combination as they’re no more than a three-hour boat trip from each other. From the ferry port on the mainland, Koh Samui lies just 30km or a 90-minute ferry ride away, while Koh Phangan is 55km and Koh Tao 80km away. The stunning Angthong National Marine Park, a protected 42-island archipelago surrounded by diverse marine life, is a common day trip from the islands as it sits just 35km from Samui and Phangan. Here’s a rundown of Thailand’s top Gulf Coast destinations. Recommended resorts: Zazen Boutique Resort, on Samui’s tranquil north-east coast is set on Bophut Beach and boasts tropical gardens with pools, a spa and a range of watersports. 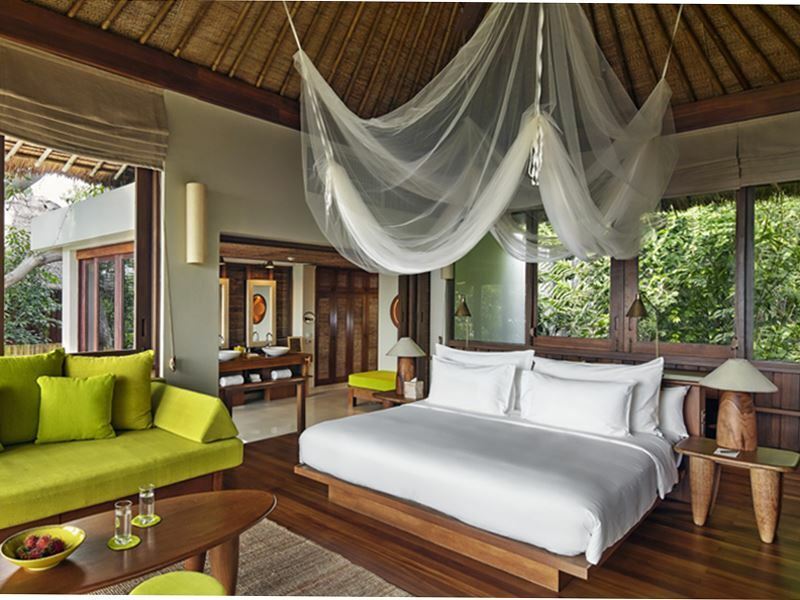 The Six Senses Samui offers a collection of gorgeous sea-facing villas just three miles from Bophut. Koh Samui is Thailand’s second-largest island and one of its most popular, known for extravagant resorts, spas, chic bars and world-class restaurants. Here you can relax on beaches, snorkel in coral-rich waters and trek through dense rainforest past waterfalls. For a taste of Thai culture visit the island’s 12-metre-tall Big Buddha statue and spend an evening at the Fisherman’s Market in Bophut. Known for: The Full Moon Party. Recommended resorts: The Santhiya Koh Phangan Resort & Spa on the sleepy west coast is a slice of eco-friendly luxury overlooking the sea. 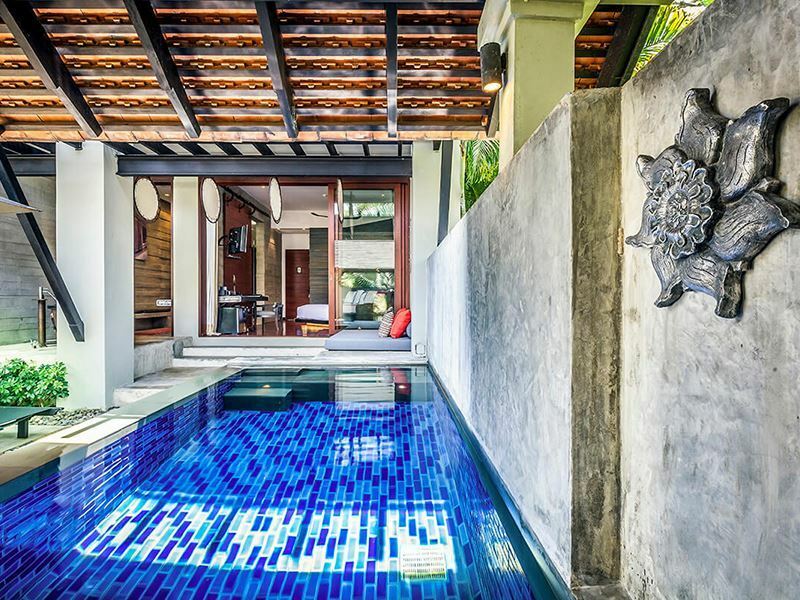 On the north-east coast enjoy your own beach-side villa with plunge pool at the Anantara Rasananda Villas. Every month up to 30,000 revellers clad in neon body paint flock to Koh Phangan for its famous Full Moon Party on Haad Rin beach. However, there’s much more to Thailand’s fifth-largest island than partying, including 30 white-sand beaches and a lush jungle interior with refreshing waterfalls. Check out the fisherman’s village at Chaloklum and take a longtail boat to idyllic bottle beach, a secluded crescent bay. Known for: Diving and snorkelling. 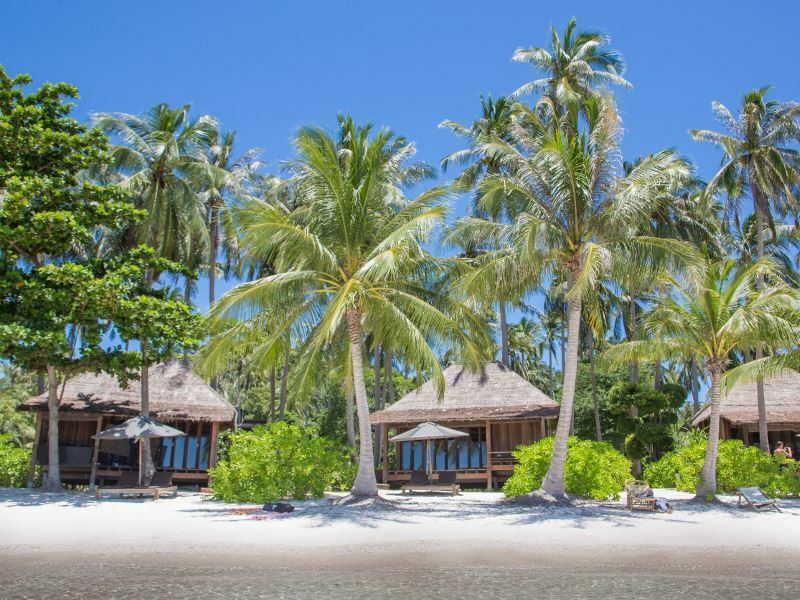 Recommended resorts: The Haad Tien Beach Resort is set on a private 380m stretch of sand on the southern tip of Koh Tao. Stay in a luxurious villa with pool, visit the spa and take advantage of the dive centre. 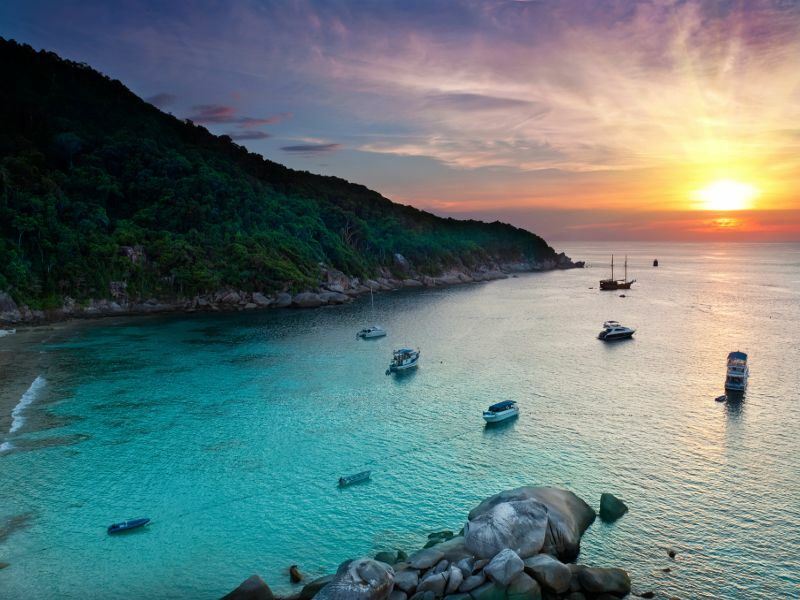 Koh Tao is Thailand’s top diving, snorkelling and free diving destination. You’ll find dozens of centres offering PADI courses and incredible dive sites including the HTMS Sattakut shipwreck, Chumphon Pinnacle and Sail Rock where you can spot whale and bull sharks. 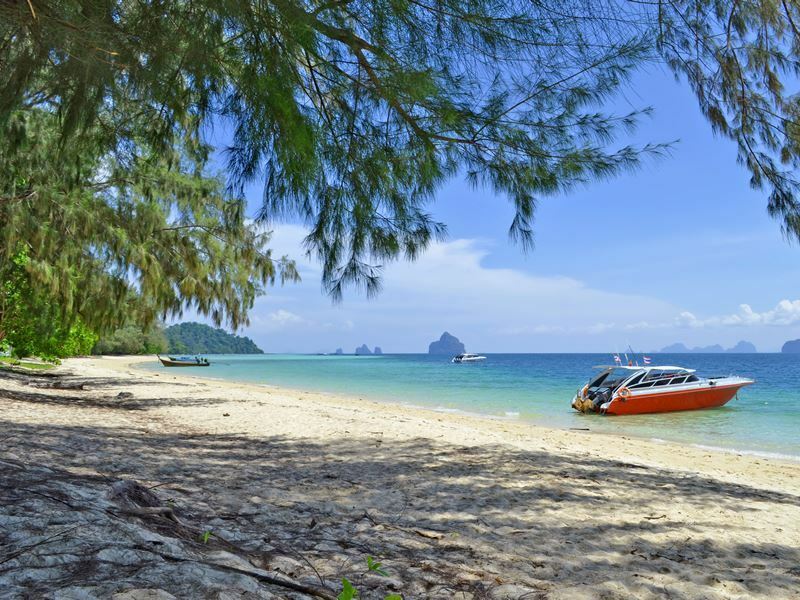 For snorkelling, Sairee Beach has a reef just 30 metres from the shore, or head to Koh Nang Yuan, which is made up of three small islands connected by a sand bar with sensational sea life around the Japanese Gardens and Green Rock. Known as: A Bangkok beach getaway. 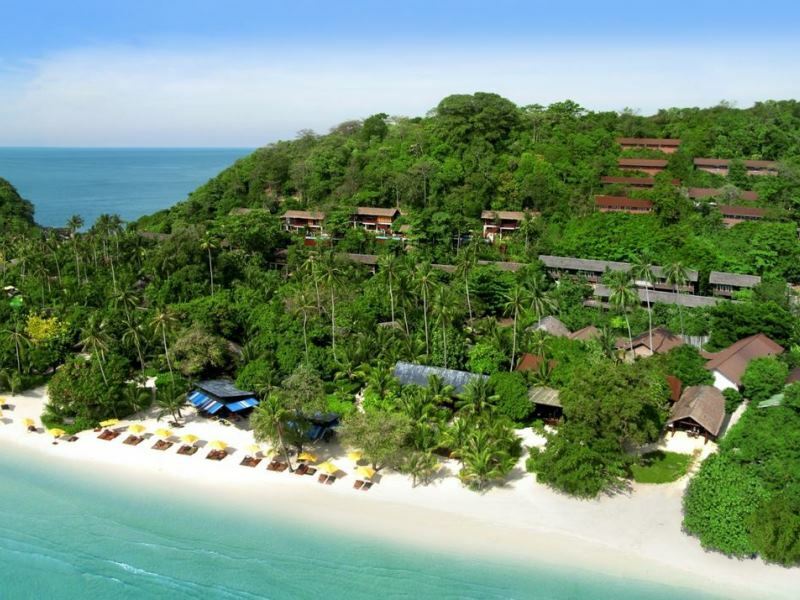 Recommended resorts: The five-star Emerald Cove Resort is situated on Klong Prao, a private beach on the west coast. There’s a pool, spa, fitness suite and beach activities to keep you busy. 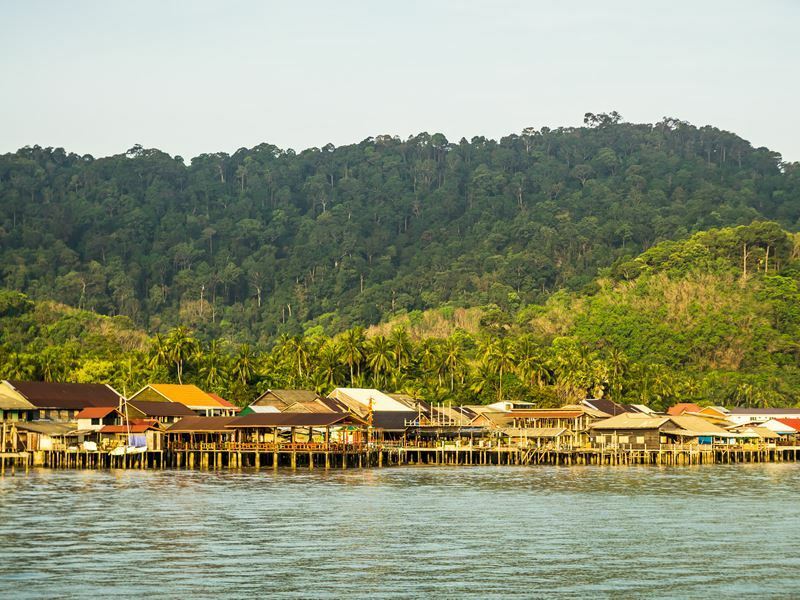 Despite lying just six hours from Bangkok, Koh Chang is one of the lesser-visited Thai islands. Its long, un-spoilt stretches of sand are its crowning glory, including White Sand Beach, which is the classier alternative to backpacker-friendly Lonely Beach. Koh Chang National Park lies in the middle of the island, a nature reserve filled with rugged jungle terrain, hiking trails and waterfalls. Go to nearby Koh Chang Marine Park for diving and snorkelling. Stretching along the Andaman Sea from Myanmar to Malaysia, Thailand’s west coast is speckled with picture-perfect islands. Phuket is the country’s largest, connected to the mainland by a bridge. Less than 100km north of Phuket, or three hours by bus and boat, you’ll find the Similan Islands, a remote archipelago perfect for island hopping. Koh Lipe in the far south is another less-visited gem 60km/90 minutes from Pak Bara on the mainland and can be combined with trips to Langkawi in Malaysia, 40km away. Krabi is the launching pad for the most popular Andaman Islands and a typical itinerary will take you 40km from Krabi to Koh Phi Phi, which takes 90 minutes by boat, then on to Koh Lanta, which is around an hour from Phi Phi. You can also add on a 75-minute boat trip from Lanta to Koh Kradan if you wish. 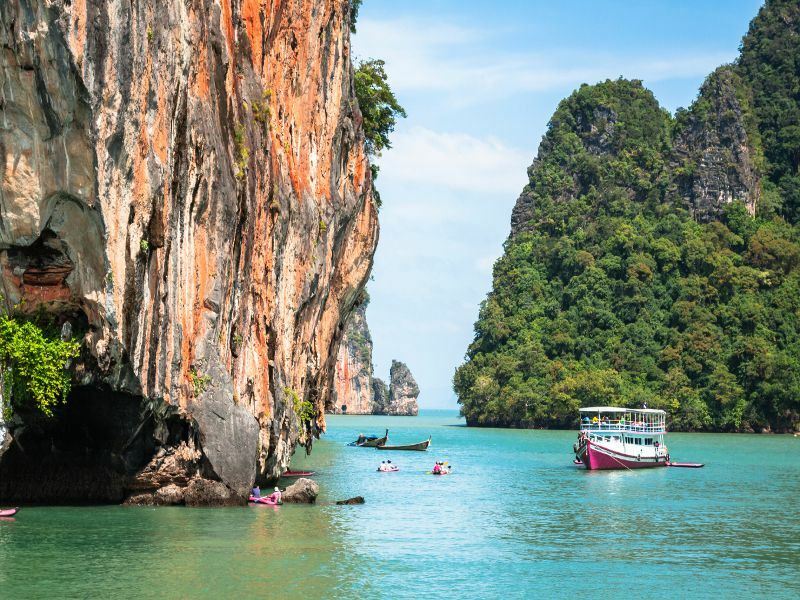 From Krabi, journey one hour by longtail boat to witness the towering limestone karsts of Phang Nga Bay, a National Park with a huge mangrove forest and 42 islands, including Koh Hong. 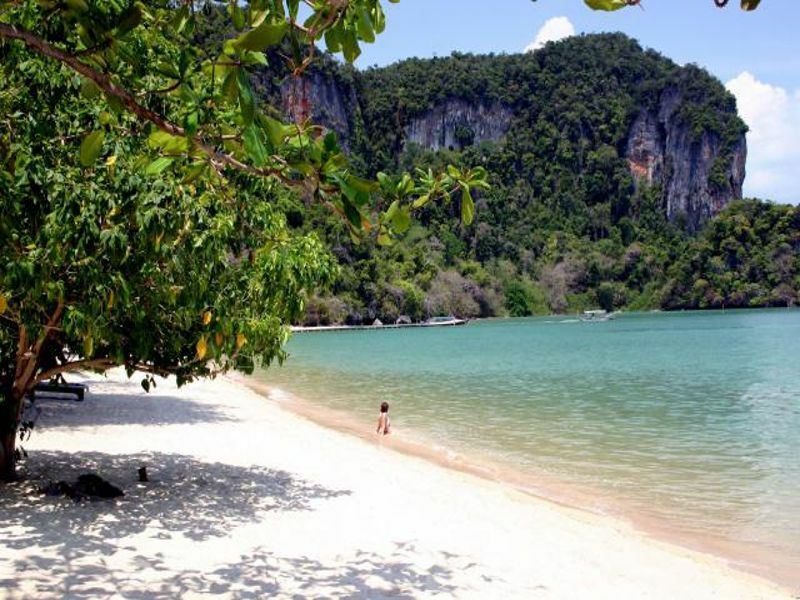 Here’s a look at Thailand’s most popular Andaman Islands. Known for: Luxury and lively nightlife. Recommended resorts: The Slate is located on the site of a former tin mine on Nai Yang Beach, one of the quietest areas of Phuket, next to Sirinat National Park. The hotel blends industrial chic with traditional Thai design and has pools, a spa and watersports. 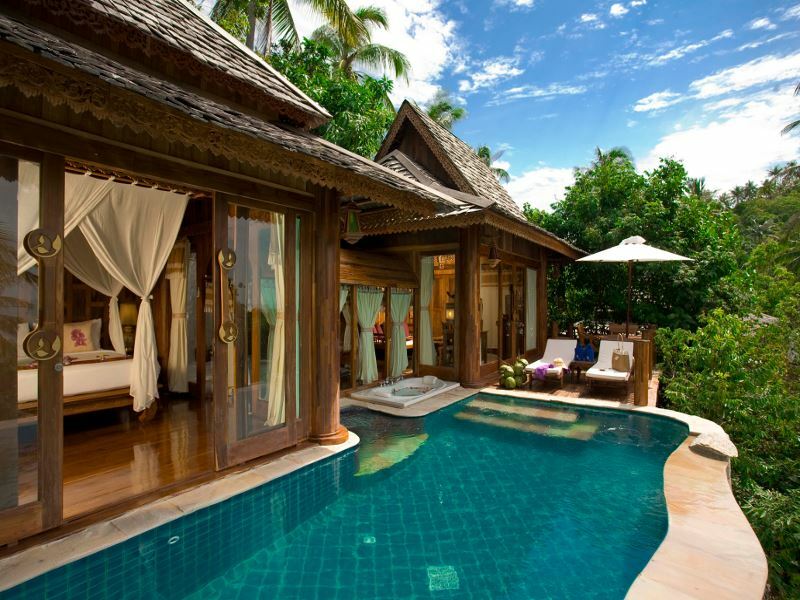 In the same area, Anantara Mai Khao Phuket on Mai Khao Beach has lavish pool villas by the sea. Phuket is perhaps Thailand’s most well-known island destination. The main town Patong is famous for its vibrant nightlife and sits on the west coast with the most-visited beaches. Head to the southern tip of the island for calmer sands or explore the island’s rainforest, mountains and coconut groves. Take a day trip to Koh Yao Noi and Koh Yao Yai, a pair of islands that lie opposite Phuket and are loved for their powdery beaches and fiery sunsets. Known for: Its topaz lagoon. Situated in Phang Nga Bay, the Hong archipelago is made up of 12 islets which you can only visit on a day trip. Most boats stop on pristine Hong island, which is fringed with fine sand and populated by forested karsts that shelter an internal lagoon. The striking scenery is best viewed by kayak or boat, then dive or snorkel to discover Koh Hong’s underwater treasures. Known as: The setting for movie The Beach. Recommended resorts: The Zeavola Resort on the secluded north east coast of Phi Phi Don has a design inspired by a traditional Thai village, with 53 villas spread around the grounds as well as a spa, pool, watersports and dive centre. Six islands make up the Phi Phi archipelago, which is famed for its dramatic limestone cliffs, wild jungles, phosphorescent plankton and long, white-sand beaches. Of the two main islands, Phi Phi Don is the largest and a party hotspot, however its peaceful eastern coast is filled with top-end resorts. One of the area’s main draws is Maya Beach on uninhabited Phi Phi Le, which was the setting for the Leonardo DiCaprio film, The Beach. You can visit the cove on a boat trip via Monkey Beach which is home to dozens of macaques, and sail past Vikings Cave where locals collect swiftlets’ nests to make bird’s nest soup. Known for: Spectacular sunsets and a chilled vibe. Koh Lanta is a favourite with couples and families for its serene aura and sparkling-clean beaches with views of the limestone-karst studded sea. The interior is thick with rainforest and mangroves, as well as Mu Koh National Park which encompasses the twin islands Ko Rok Nai and Ko Rok Nok, which lie 30km south. These islands are connected by a channel of coral and boast a square mile reef system teeming with marine life including turtles and blacktip sharks. Koh Lanta is predominantly Muslim, so the island is dotted with dome-topped mosques. Saladan Beach is the liveliest spot while further south, sleepy Khlong Khong has a wide sandy beach which leads into the horizon, the perfect place to watch Koh Lanta’s epic sunsets. Known for: Diverse marine life. The Similan Islands, a protected national park in Phang Nga province, are ranked by the National Geographic Society as one of the top 10 dive destinations in the world. Although Similan translates as nine, there are now actually eleven islands in the group, which are characterised by their large boulders that tumble into the sea. This creates a unique underwater topography which is heaven for divers who can explore the coral walls, caves, canyons, sea fans and coral gardens. On land, the islands are full of rare birds and reptiles, rainforest and white-coral beaches. 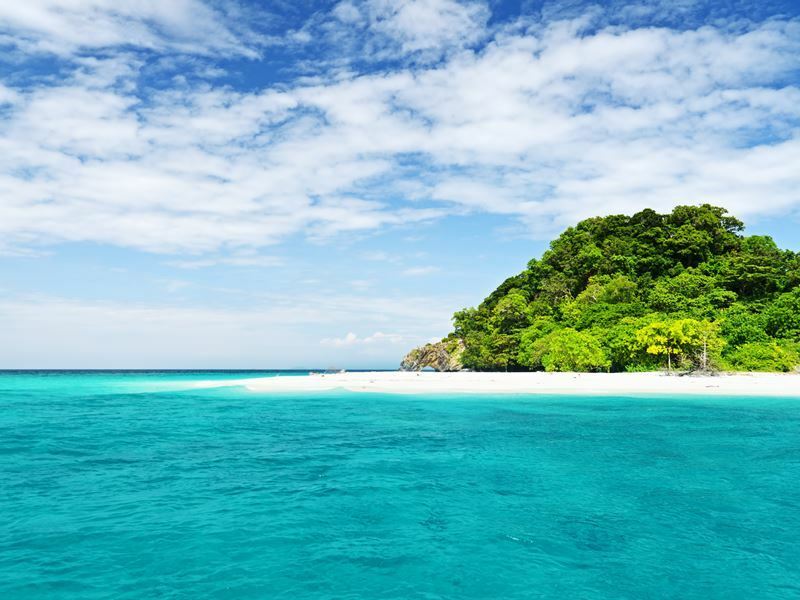 Koh Kradan is one of Thailand’s more isolated islands located south of Koh Lanta in the Hat Jao Mai National Marine Park. Most people visit on a day trip from Koh Lanta or Trang as there are no shops or restaurants on Koh Kradan, just a handful of swanky resorts, rainforest and rubber plantations. Experience a true slice of untapped paradise on golden beaches fringed with coconut palms with views of limestone outcrops out at sea. The southern beaches have shallow water perfect for bathing and well-preserved coral just 50 metres from the shore, you can also kayak around the whole island in just three hours. 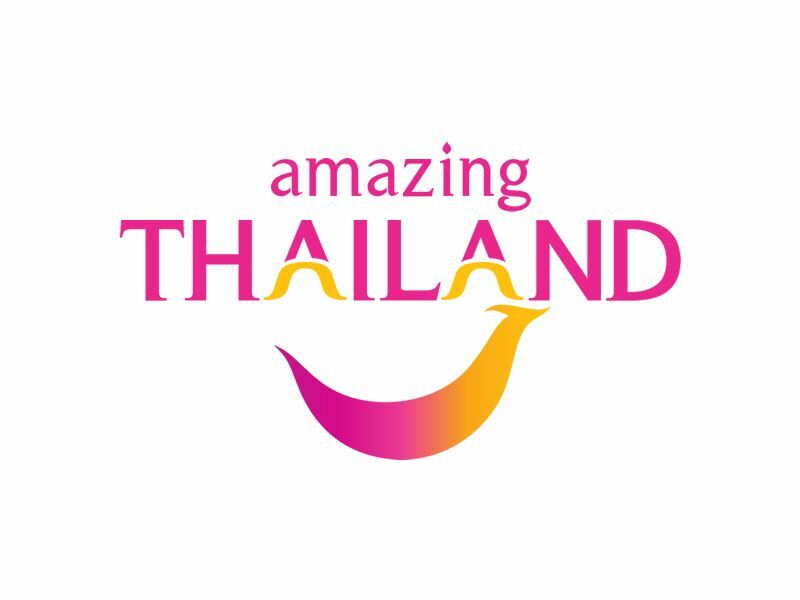 Known as: Thailand’s southern-most island. Thailand’s southern-most island, Koh Lipe, was once inhabited by sea gypsies called the Chao Ley, a nomadic group who have been living off the sea for hundreds of years. The L-shaped island is part of Tarutao National Marine Park and one of the country’s less-frequented beach spots. Here you’ll find a slow pace of life and three main beautiful beaches: Sunset, Sunrise and Pattaya. Don’t forget to visit nearby dive sites like the Eight Mile Rock Pinnacle and Yong Hua shipwreck, then hop over to Langkawi, an archipelago of 104 islands off the coast of Malaysia. Another way to see Thailand’s incredible islands is on a luxury cruise. Sail around the Andaman coast on a Star Clipper Cruise which begins in Phuket and takes you to a variety of highlights in the area including Phang Nga Bay, the Similan Islands, Koh Kradan, Ko Rok Nok and even Langkawi in Malaysia. 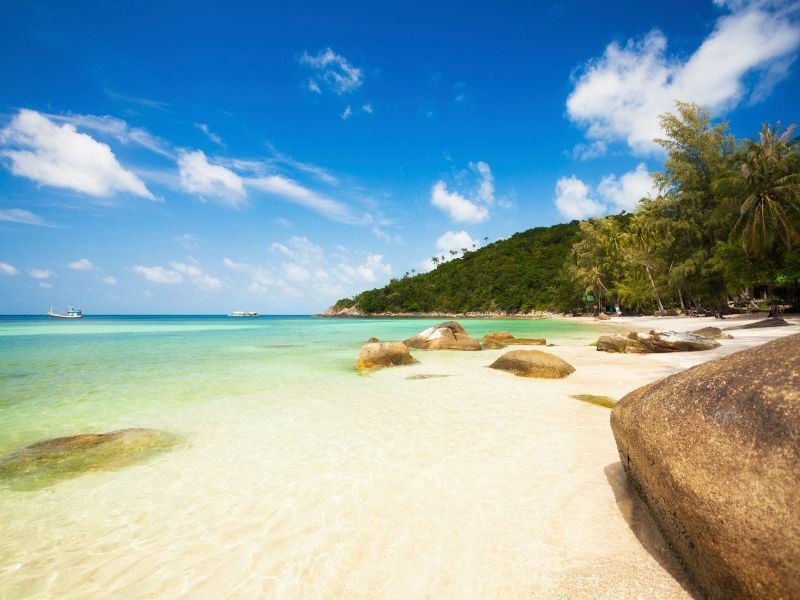 On the Gulf Coast, take the hassle out of your trip with a boutique island hopping tour of Koh Tao, Koh Phangan and Koh Samui, complete with transfers and hotel stays.